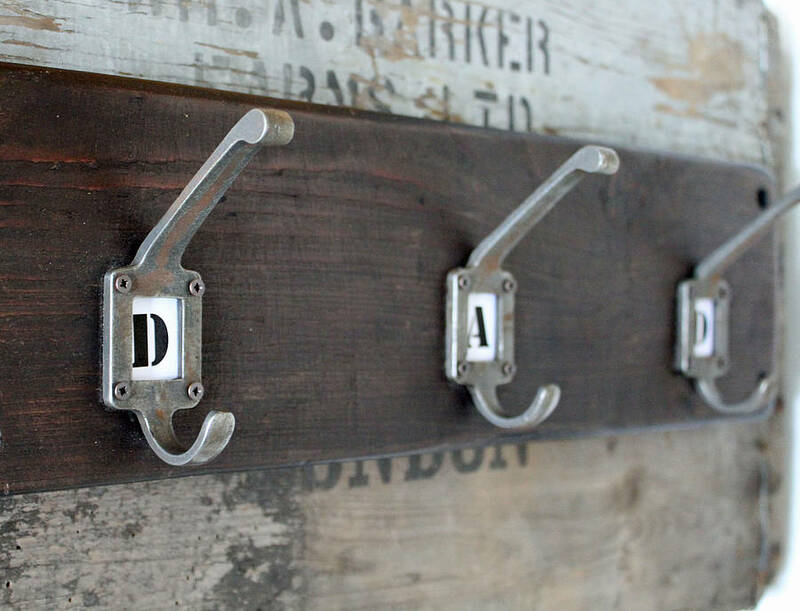 These gorgeous rustic letter hooks are individually handmade from reclaimed wood and can be personalised with your choice of letters. 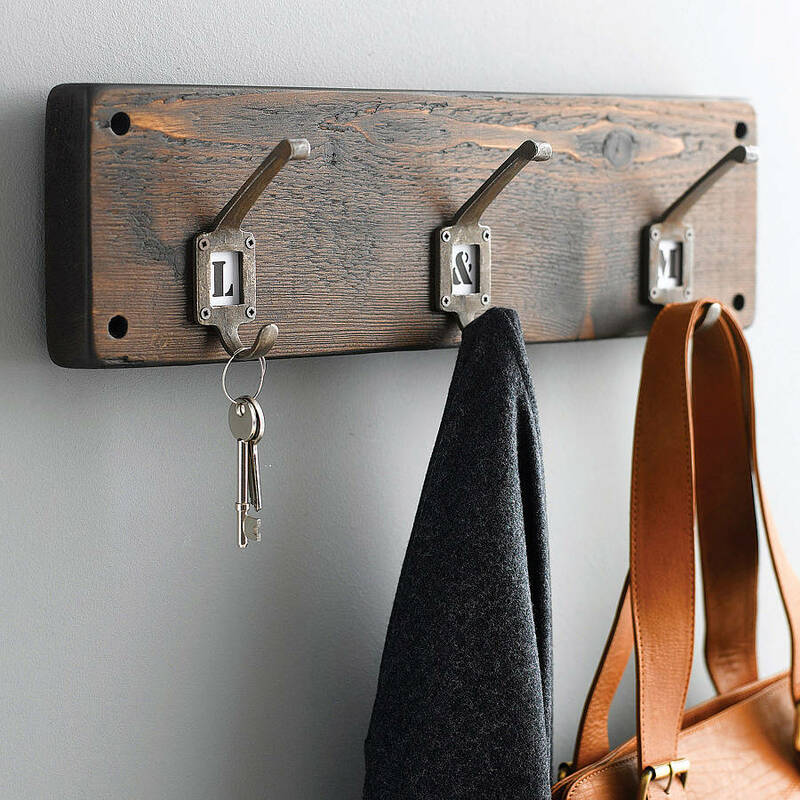 A great way to organise your family's coats and keys and the rustic hand-forged iron hooks would add character to any room of your house. 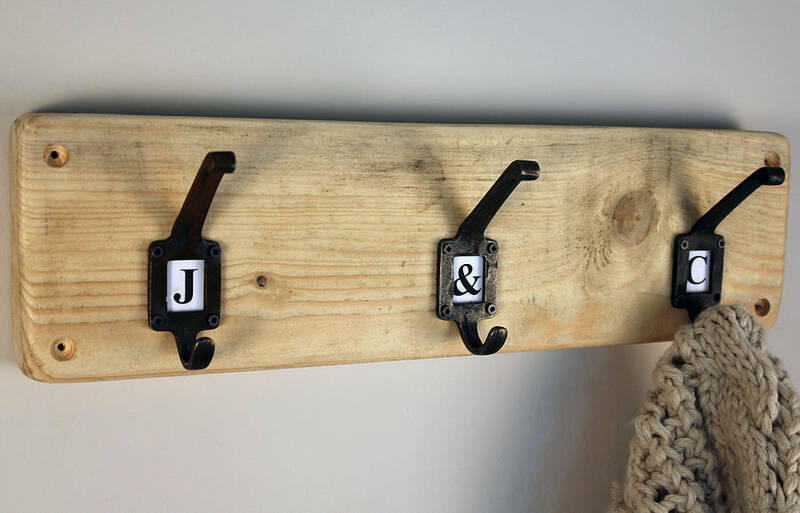 A lovely personalised gift for any occasion, for couples, for your dad (a special place for his keys), or for your mum (to hang all her lovely jewellery or scarves). This coat hook is available in a 3, 4 , 5 and 6 hook. Pre-drilled holes for wall fitting. Wall fittings not included. 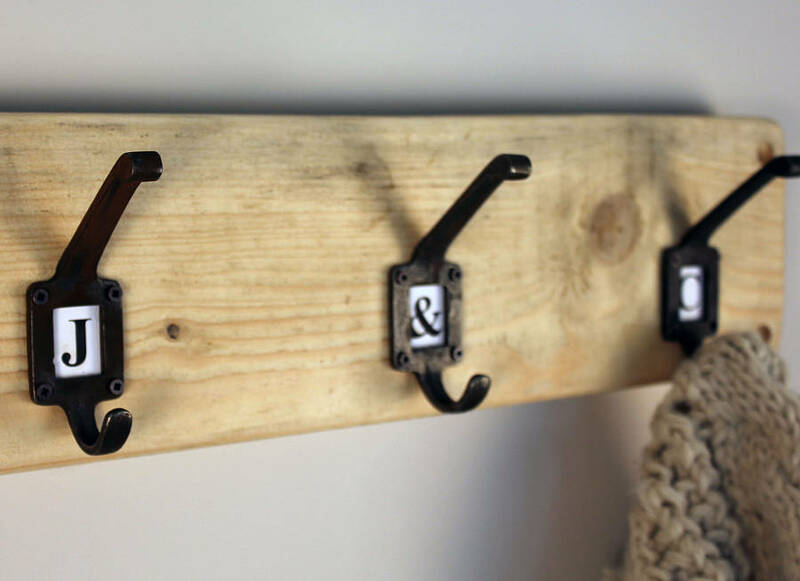 You can choose to personalise these hooks at a extra charge of £5 (for all number of hooks) or if you wish to do this yourself, it can be done quite easily. 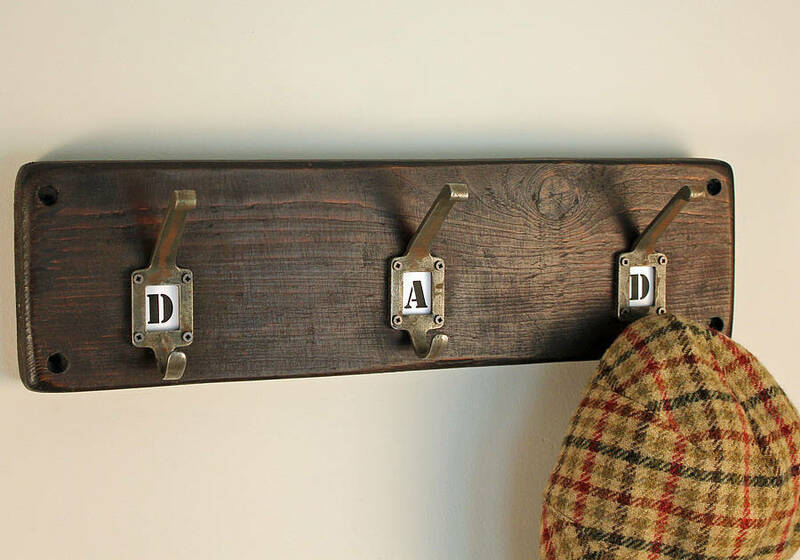 If you wish you could even slide in a little photo to each hook to really personalise this coat hook. Letters available in uppercase A-Z in either Times New Roman or Stencil Font. (examples are given in images). Example of personalised order: (A & Z equals a 3 hook), (OSCAR equals a 5 hook). 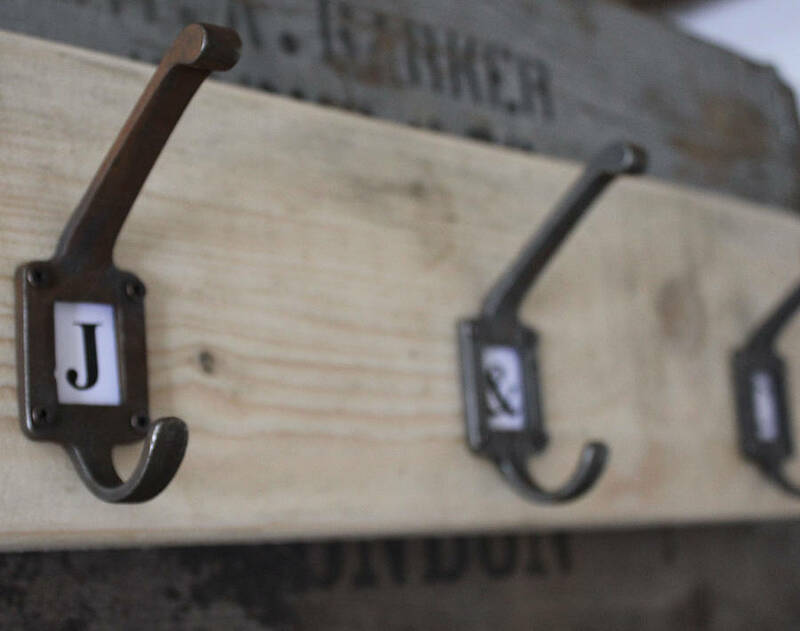 These rustic hooks are hand made in the UK from reclaimed wood that we collect in and around London. 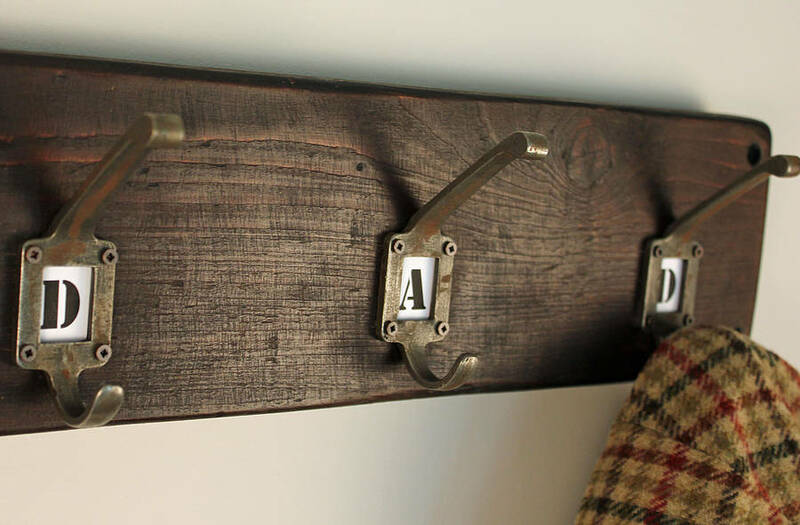 The hooks are hand-forged from iron.